The Flats at Mixson made headlines last week when residents were ordered to evacuate the property due to major structural issues. Infuriated residents were shocked that their two-year-old apartment homes were already condemned to be knocked down. 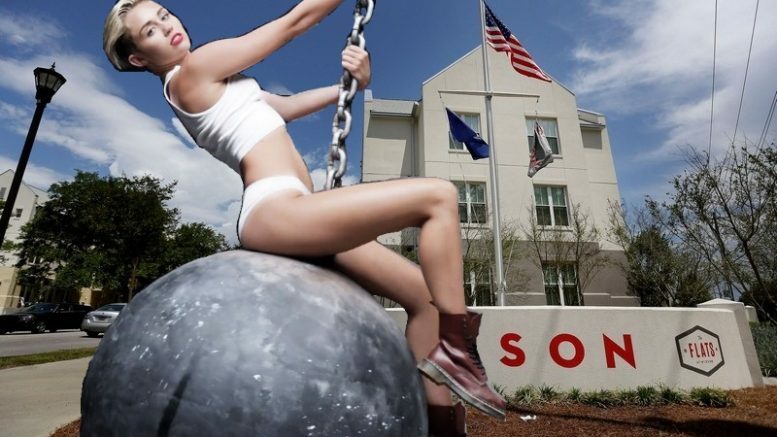 The Mixson property managers have reacted quickly and will be providing the residents with a once-in-a-lifetime experience to make them happy–they’ve hired Miley Cyrus to demolish their apartment homes. Miley will be riding on a wrecking ball while singing all of her newest hits for the crowd. Mixson will be offering VIP Demo-Side Cabanas with bottle service for those willing to meet a $500 minimum. To make it up to the soon-to-be-displaced residents, Mixson will be providing them with a free appetizer while they watch their apartments being destroyed. While the concert is going on, Mixson employees with be busy hiding the rest of the crumbling infrastructure around the remaining property.